A partnership between integrated HR-solutions firm SumTotal Systems and learning-content company Skillsoft has resulted in an industry first intelligent talent solution. The offering allows companies to deliver in-context learning and talent content to employees both when and where they need it. 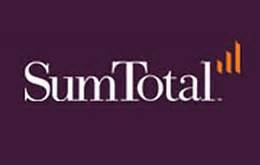 SumTotal’s recently announced elixHR platform provides Skillsoft content assets such as traditional courseware, video, and blended learning modalities. The integration of Skillsoft’s learning assets with SumTotal’s LMS reduces costs, complexity, and consumer risks. The platform dynamically automates the administration of the Skillsoft catalog with real-time content updates. The integration also provides tracking and contextual text searching across Skillsoft content giving employees access to learning and training actions to improve how they do their jobs.